In the last week my internet feeds have blown up with a couple of stories. One in particular has me perplexed. Not because of the news itself, nor the frustration from some that is rightfully being vented, but the outright hatred that came spewing out from so many of “us” immediately upon the release of this news towards two reputable businesses in the firearms industry. Let me paraphrase the story: Springfield Armory (SA) and Rock River Arms (RRA), two companies out of Illinois, are (were) closely involved with the Illinois Firearms Manufacturing Association (IFMA), a pro-2A lobbying group with high ranking members of each company even on the group’s board of directors. SA and RRA have donated money to the IFMA to protect and work in favor of second amendment rights in Illinois. The IFMA recently remained neutral instead of voting against a bill (SB-1657) that passed the Illinois state senate by a 1 vote margin and, if signed by the Governor, will negatively affect many small firearms dealers and their customers in the state but not so much SA or RRA themselves. “OH, snap, let’s make a bunch of memes and boycott!” I know, I know, fresh meat for memes, right? Well, let’s back up a little, here. Rock River Arms was established in 1993 and the current entity of Springfield Armory in the mid 70’s. So, for nearly 25 and 40 years, these companies have been providing quality firearms to the industry and as large companies, surely putting plenty of their hard earned revenue into lobbying for pro-2A causes. Wait, what? Oh yeah, your rants and memes are making people money who actually want to destroy our industry and 2A rights. Are you getting the point? Let’s talk about this for a minute. These days, more and more of the tech businesses whose products we use daily are taking more action regarding their anti-second amendment views. Recently, YouTube reportedly started demonetizing channels with firearms related content. I know, right!? This is a huge push against the firearms industry. Do we boycott YouTube vowing to never watch another YouTube video? Could it make a difference in what YouTube is doing? Maybe, but my guess is that right around 99.5% of us will continue to watch videos on this outwardly anti-2A business. We are all familiar with Facebook’s strict policies about firearms. No Ads, no sales, no giveaways … basically anything that can directly link to sales or distribution of any item from any business that sells firearms, knives, or other weapons mentioned on Facebook’s lengthy list is prohibited. Facebook also owns Instagram, now, and the policies crossover. Really? So Facebook, this social media platform that we all use has a continuously running algorithm that was developed specifically to target and squash gun related pages. Wow, bring on the memes and boycotts, right? Right? Anybody? Daily Badass’ large Instagram page was also shut down without any notice whatsoever with zero correspondence from the social media side. Only after an uproar from some social media communities and many emails were these pages reinstated. Every so often a new shady news story will surface, exposing their most recent anti-2A actions and the keyboard commandos will get frothy at the mouth about it and proclaim their disgust in whatever these businesses are doing at the time, and the memes flow like the salmon of Capistrano. 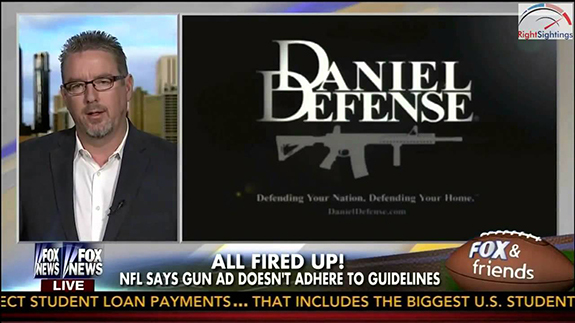 Remember how the NFL denied Daniel Defense an ad spot during the Superbowl? “They did? Oh yea, I remember all the memes. I still have some saved in Google photos!” I’ll bet you do, too. But when the froth dries up, and the meme content is yesterday’s news, the commandos go back to using their oh-so convenient services and scrolling past or watching those ads that generate these companies billions, a part of which is surely spent on lobbying for laws that go against our second amendment rights, not to mention continually censoring and stomping as much gun-related content as they possibly can. Oh, the irony. So back to this recent social media explosion: Springfield Armory and Rock River Arms have since taken accountability for this mistake, apologized, and broken ties with the lobbying group that remained neutral. Was there a huge oversight here? Is there work to be done by both of them to try and reverse this? Yes. But should we jump to conclusions and call for a boycott and wish bankruptcy and closure upon these companies and the hundreds of people who they employ? I hope this is an easy answer for you. Of course not. This isn’t Facebook, Google, or YouTube here. This is a firearms company. This is one of “us.” Why are so many, so hasty to form what seems like a final, rock solid opinion on these guys who have been on our “team” for 25+ years? I don’t blame anyone for being upset about this bill. It could do some damage to people in Illinois. But let’s give these firearms manufacturers a chance to fix their mistake. Let’s not immediately try and strike down an asset to our community. If it were Facebook or Google, I’d be singing a different tune. Those obviously have a long track record of anti-2A views and policies. Honestly, the reactions to this remind me of how liberals jumped all over any shred of negative press that was released about Donald Trump’s past and current views, actions, words, and tanning preferences. But the majority of America came together and gave him the benefit of the doubt, and despite a seemingly infinite amount of negative press he received, he won. No, scratch that … WE won. WE came together and recognized that this guy, regardless of his sometimes tactless way of dealing with the media, or locker room style conversations, or the way he poorly worded some of his views for the world to hear and cringe at, and despite his past interactions AND friendships AND business deals with the liberal left and some of their agendas, at the end of the day we came together and realized that this guy is on our team. I’m proud to have voted for him, and to now call him my president. Should We Roast Them? Or, Is It Time To Forgive? The moral to this long, rambling story is this: Let’s not help the liberals destroy every piece of the firearms industry that they are able. Let’s look at this as a mistake and put our energy into helping. 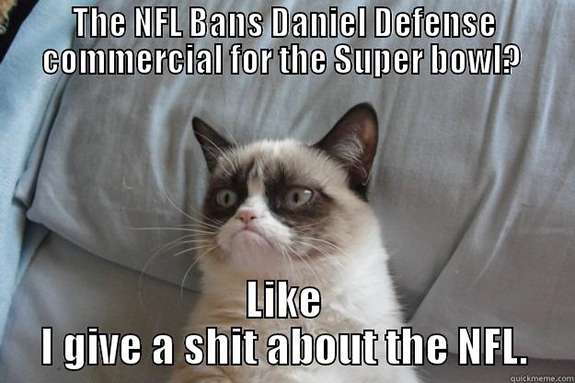 Making memes and calling for a boycott and whining isn’t helping anything. Regardless of whether or not you own or like the firearms from these companies, they are a valuable part of the industry and have been for a very long time. Up until 2013, there were zero concealed carry permits in Illinois which is almost as bad as Commiefornia when it comes to gun laws. Well, some laws have actually changed, and some second amendment rights have been restored. I’d wager that the 2 largest firearms manufacturers in the state of IL had a little something to do with that HUGE forward progress. Springfield alone has donated over 1 million dollars to the NRA, which, as we all know, fights and lobbies for these changes around the country. Being based in Illinois, SA and RRA have no choice but to work with liberal lawmakers. They have no choice. That’s who they’re surrounded by. I’ll repeat for you that this was a big mistake, error, oversight, whatever, on SA and RRA’s part. People make mistakes and things DO slip through the cracks when there is not enough time in the day to see to every task and call and meeting that some business executives have on their plate. Let’s also realize that in every arena of politics, cooperating and working with people who don’t always have the same views as us is often how we move forward as a nation. If neither side cooperated with each other, there would be zero progress made. Zero. Let’s give these companies the benefit of the doubt that this was an honest mistake, and move forward with them, still on our team. Let’s focus on the real enemies to our industry and put our energies into forward progress rather than fighting against each other. As a disclosure, I do know personally a handful of the people over at Springfield Armory, and in my opinion they are some of the best people I know with a true concern for our industry and our rights as Americans. I don’t know anybody at Rock River Arms. Regardless of this, it just disappoints me to see how quickly this community is to cannibalize its own. We are better than this. *Editor's Note: The Above was an opinion piece from a reader. What we want to know, is if, after reading this, do you feel ready to move on and if not; what would it take for Springfield Armory and Rock River Arms to earn back your trust? Let us know in the comments below. Tyler grew up in Portland, Oregon hunting waterfowl often with his dad and brothers throughout his childhood, instilling in him the value of using firearms as tools to put food on the table. His love of firearms and the outdoors increased when he moved to Northern Utah, a mecca for outdoors activities and a state with very firearms friendly laws. He has businesses in the firearms industry and has been a big influencer in innovating gun holster technology. He is also the CEO of the Utah Shooters Organization, an organization that is dedicated to helping the shooting community in Utah grow and connecting consumers with the many firearms related and veteran owned businesses in Utah. His passion for the firearms industry and community is reflected in his writings. Nothing. They have a proven track record. Nothing. Their giving record speaks for it’s self. Agree, get off their backs. RRA items however after this incredibly selfish act absolutely not. Yet all the Silicon Valley companies whose products we use on a daily basis take blatant and malicious actions on a daily basis to increase gun control and erode the second amendment. Do you see the difference? Think about what it must be like to operate a gun manufacturing company in a communist state like Illinois. I EDC an XDs .45 , and have done so for years ,and love it ! With 40 + years of activities supporting our 2nd Amendment ! Fighting for us ! Screw the keyboard warriors ! How many millions do they give the NRA to fight for our rights ? state and federal legislatures ,ensuring their passing ? helping the gungrabbers not us GUNOWNERS ! The keyboard guys have a point. But, we best not be joyful over the closing of these companies. IMHO, we should be more upset with the IFMA, & possibly NRA. IT SHOULD BE PLAINLY OBVIOUS THAT WE NEED EACH OTHER. THE ANTI 2A are the MODERN DAY REDCOATS. WE MAY STICK TOGETHER, AND LET IRON SHARPENS IRON. BE MEN ABOUT THIS. PRAY AS IF IT MATTERS, DO AS IF YOU’RE THE LAST MAN STANDING. I can’t say whether I would buy either companies products in the future (despite the fact that OP’s very attractive wife models for SA) as I prefer other companys’ products. However, what needs to happen is that the two companies involved should do their utmost to reverse the law that impacts many small FFLs adversely. Acknowledging a mistake is one thing, but it does not forgive that mistake as it affects so many businesses and gun owners. 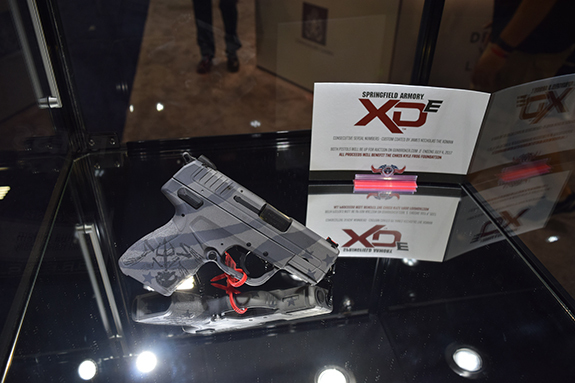 I’ve already pre-ordered an XDE in support of Springfield Armory. I couldn’t agree more with the content of this opinion piece. We worship at the feet of liberal anti-2A companies like Facebook, yet we demand a boycott of two gun manufacturers? Please tell me more people will realize the irony of this. You speak of the hundred or so people who may lose some hours at work at Springfield, But what about the hundreds or thousands of small FFL’s who’ll be shut down because of this “oversight”? They make their livings from a couple sales a year compared to SA and RRA who sell in the tens of thousands, to pay for that lobbying and salaries. I’m all for giving the benefit of the doubt but these companies are not blameless for siding with an anti-gun bill or making a deal with the devil. And what of the future legislation that this anti-gun win in Illinois precipitates across the country? There are FFL’s in every state, no matter of how tight their gun laws are, that this type of legislation will affect. This is not a story of just 2 companies’ mistake on one piece of legislation, as you imply. Really both theses companies made sure to protect themselves first, then after the fire storm came out with b.s. damage control. They sell mostly imported products that they put a stamp on. Their IFMA is b.s. They are the only ones in it. If they truly want fix they would be spending millions to get the word out and talking to the right people. Perfection is a goal, hopefully never to be attained. I’m human and very not perfect. I expect and hope the same is true of corporations. Both SA and RRA trusted someone else to represent their interests. That trust was violated, but my trust in SAS stands firm. I look forward to doing business with them for a very long time to come. I’d say then, that these innocent companies should be pulling out all stops to reverse their oversight. Bombard the Governor with requests to veto the bill, then do the same with the state’s Congress to avoid any override of the veto if necessary. Tyler appears to gloss over many details in faver of SA & RRA. Not only is IFMA their creation they have been found to be making large donations to Illinios State law makers who are some very powerful individuals, they are very anti 2A. These are several donations reported to be from each of SA, RRA ,& IFMA of $10,000 amounts for state level offices. Who decided to be on what side of 2A to support? I do not see this as a simple oversight error. I see it as a ‘gangrene’ that must be cutout before it spreads and kills the rest of the body. Like our fore fathers had to deal with the Tories. This bill, if it becomes law would shut down all but a few very large FFLs and add between $100 and $300 per firearm sold or transfered in the state of Illinois. I was born, raised, and just retired in Chicago area. I am moving to Texas and do not want this plague of a law to spread any where. Even though I have never bought or probably would buy a SA or RRA gun, I do not support boycotting them; too much is at stake if they go under. The Assholes that run ILLinois would love to see them go bankrupt, a huge win for them. We should never turn against our own. 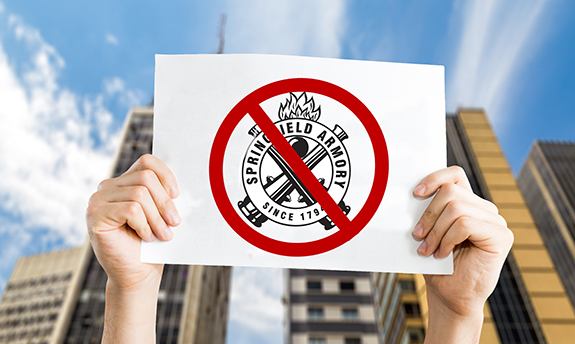 I don’t know about the rest of you, but I received several emails from Springfield Armory asking me to contact as many people I know to contact their state representatives and tell them your opposition to the legislation. Along with RRA they were strongly opposed to it and we’re trying to get people in Illinois to wake up and put a stop to it. If you choose to boycott them, it is because you may not have received the email and have been misinformed.y suggestion to both of these companies is to move out of the state to one that is more gun friendly. I agree totally, we all buy from Amazon, and look at YouTube. BUT! The author’s wife does work for Springfield Armory as a Spokesperson. This article should have been written buy somone with a bit less bias, and honestly that should have been disclosed. Here is a solution to Springfield and Rock River Arms’ problems working with Illinois antithetical left wing politicians. Move to Texas. We will never give up our right to own firearms and we want as many gun makers as possible. If and when the SHTF, Texas will be a sanctuary state for all gun owners and gun makers. YouTube and their new owner Google will find out soon enough that millions of gun owners that Google demonizes will cost them billions in lost ad revenues. 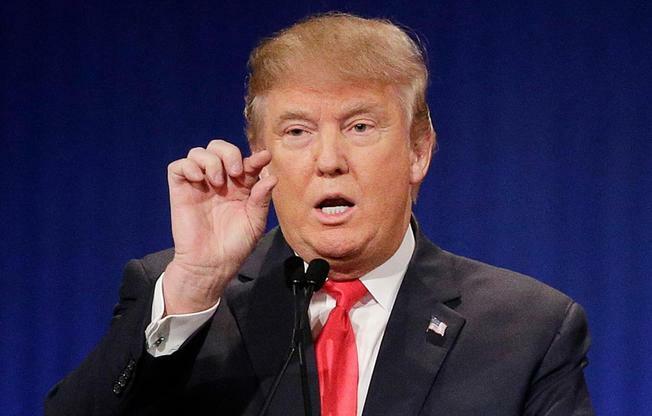 Too big to fail? GM once the largest manufacturer in the entire world has now been surpassed by Tesla Motors. Are you listening Google? I have received numerous emails from Springfield Armory asking me to oppose this bill, which I have submitted to my state elected officials. I am a resident of Illinois and completely support our in state gun manufactures. They make great firearms. Let’s all ban together and defeat the liberal agenda one more time. Somebody dropped the ball, yep. Sounds like SA and RRA are working to correct their error. I hope they more closely monitor their lobby group. Firearms owners are a lot like small business agriculture. We’ve rested on our laurels as good, simple, community based, law abiding people rather than strutting our stuff and showing America the good side of our world. We were complacent, and now the ANTIs have stolen the public relations show. They are now free to villanize gun owners, farmers, ranchers, rural America, etc. I’d welcome SA and RAA both to Texas, be it west, central, or east. I would recommend staying away from the I-35 corridor (Austin, Houston, DFW metroplex, and San Antonio), they are becoming more infested with anti-2A people. Set up in rural TX and become part of us. FBook, Youtube, Instagram, and other social media have become so much a part of life. They rule many people’s lives. Just watch people in public. Family members texting each other, while sitting at the same cafe table. Commenting on a news topic on social media rather than discussing it face to face with their peers. Technology is supposed to make out lives easier, not rule us. Maybe all pro 2A folks, firearms owners or not, should boycott the anti 2A social media for a week or so. Let them know why. On a more base and nasty note, maybe even “troll” the keyboard commandos. Ship your favorite Youtube folks some extra bucks to tide them over. I’m not sure who I’d use for email or a search engine, since the semi-trained monkeys at Yahoo are supposed to be govt lackeys too. Visit with each other over the telephone. Send texts. Print the pictures out, put pen to paper, fold it all up and, heaven forbid ship it by Snail Mail. Anticipation rather than instant gratification. I’m not advocating a total withdrawal from technology, just a protest of social media’s insistence on running our lives. We gripe about our elected officials ignoring us and paying homage to big business lobby. Are the social media any different?